The clay allows him to begin its work with the heart, the armature, the skeleton, what represents the center of any forms, then to add the volumes. He realizes sometime sketches before but most of the time sketches in clay, sorts of preparatory models which then are of use to him for the realization of the final work. Then thanks to the molding he realizes his bronzes with the technique of the lost wax by giving them the final texture and the patina wanted. Cerviotti realizes an original bronze maximum edition of 8. 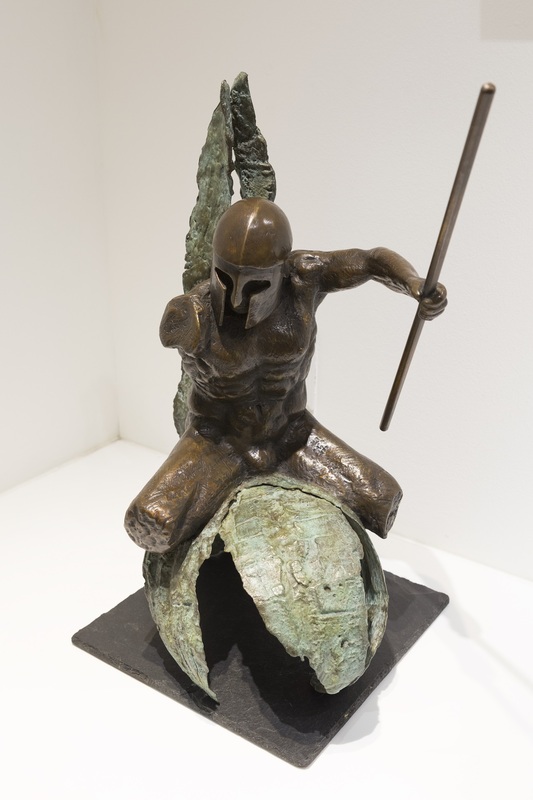 He worked with prestigious Godard foundry of Paris and Venturi Arte from Bologna(Italy) to whom he confided the realization of some of his bronzes. Nowadays, he works with the foundry of Changhua (Taiwan). Most of his original sculptures were before coming to settle in Asia, plaster, resin or mixed materials and bronzes. 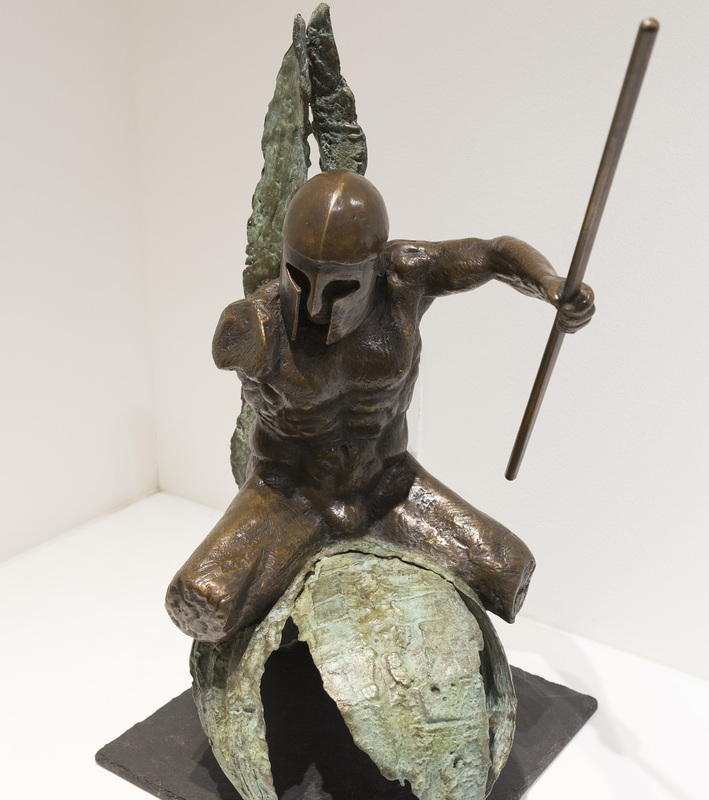 But Cerviotti now makes his sculptures in terra cotta on which he applies a patina with natural pigments then bronzes always with the lost wax technique. 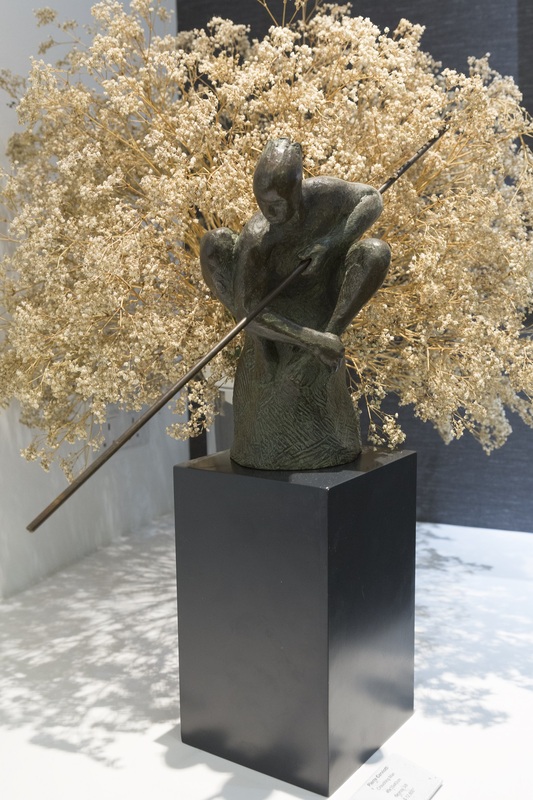 He is influenced by the work of Michel Angelo, Carpeaux, Rodin, Dali Giacometti and other alive contemporary artists but also by the arts of Africa, Asia and Oceania. He is situated in the “Figurative” art because his representations are very often human, animal, mineral or botanical species by allying them the some to the others. This representation is transformed without will to deform. That is why he names his work of the name of , kind of metamorphosis and “trans-fragmentation”. The nature which surrounds him is its real source of inspiration. His concern is not to copy exactly what he sees, but to represent his feelings and to go as closely as possible to the soul of the alive, as a return journey of the infinitesimal in the infinitely big, the atom to the infinite space. The fact of trying to strip its sculptures is an aware will to realize a realistic work with regard to felt sound, balanced in the space, which is self-sufficient in itself in the sense which it does not call necessarily trivial explanations. Cerviotti uses as means of artistic expression and a conscious, the “non finito" or aesthetic of the unfinished. He is very sensitive to the notion of “Kata” as in the martial arts; repetitive non-stop reproduced gestures (Movements) looking for the perfection in the simplicity, quite relative. Most of its works are collectors’ property deprived in Europe, America and Asia today. Pierre Cerviotti was born in Mulhouse (Alsace-East of France) in 1960. He began the sculpture with the stone carving (limestone) in1980, in the South of France. 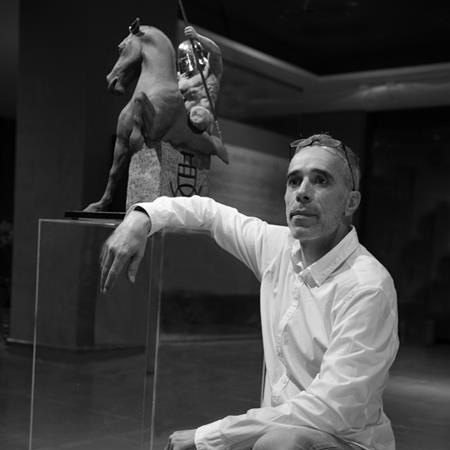 In 1990 Cerviotti became the assistant of the Canadian sculptor Blake Ward in Monaco (5 years), with whom he learned traditional techniques of figurative sculpture. He studied the modelling clay and the plaster in an academic way following old techniques from XVIII and XIX centuries. Pierre Cerviotti's bronze sculpture making in progress.